However, 34 are available from other sellers. Classic Board Game - Who is it? 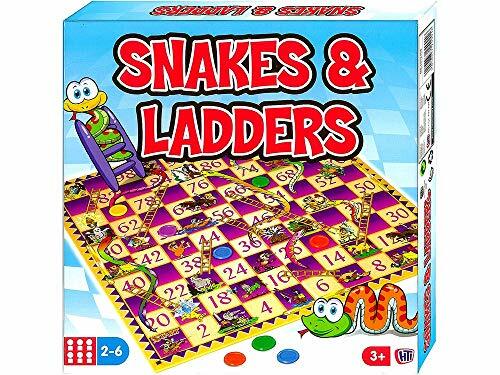 Watch out for pesky, slippery serpents in a classic game of Snakes and Ladders. The race is on to reach the end square. Climb the ladders to zoom up to the top - but if you land on a snake it'll make you slide back down again! This game for 2 - 6 players comes with a 35.5cm x 35.5cm board, 6 counters, 1 die and cup. Perfect for big and little kids aged three and up.